Yeshua said, “My house will be called a house of prayer” (Matthew 21:13). If Yahweh gives us a task, we must earnestly seek him with all of our heart, soul and strength before we endeavor to do it. It was never his intention for us to operate under our own power, but to receive his divine help through prayer. 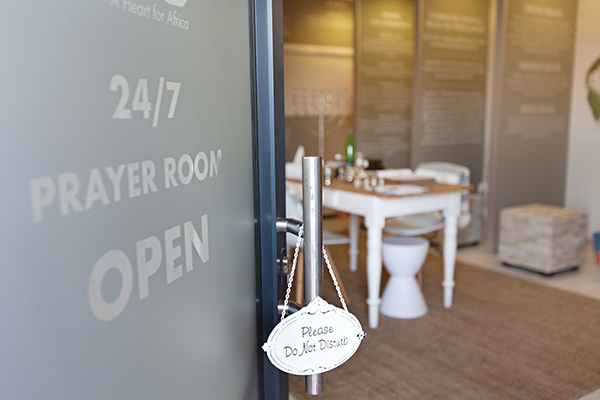 Our prayer rooms offers a quiet place to get away from a busy life and pray. It helps you ignore the phone, computer and other modern hindrances to prayer time. Some if not most Christians don’t have a place at home that encourages prayer, our Ministry takes prayer SERIOUSLY thus we have created a space wonderful for private conversation, counseling with God. Our prayer rooms are designed in such a way that you can sit, kneel or even lay prostrate before the Lord and enjoy his presence. They are safely accessible 24 hours a day.